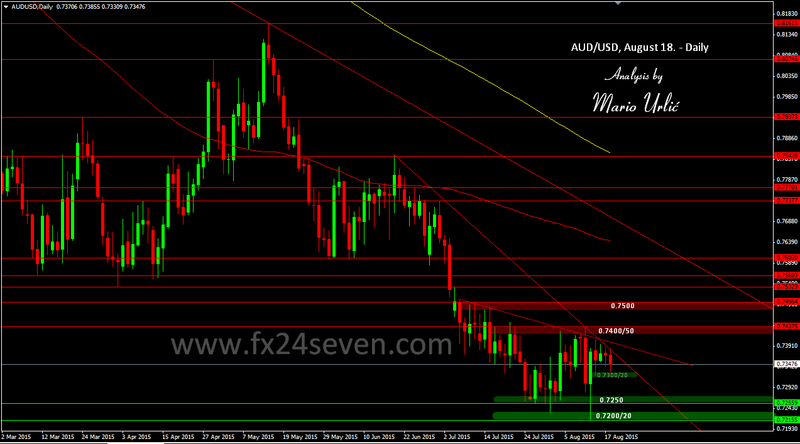 AUD/USD, no hope for the Aussie bulls!? Huge selling pressure continues at AUD/USD in wich Aussie can’t recover and 0.7500 remain untouched in the last 6 weeks. First buyers are placed here at 0.7300/20, biger ones are waiting at 0.7200/50. Sellers are ready at 0.7400 all the way to 0.7500 and that will be hard to brake in the up coming weeks. Could we expect that a range trading will continue between 0.7200 and 0.7500 or the sellers have enough strengt to take the pair lower toward 0.7000! ?